Gold, silver and platinum are traded on the currency desks of the major banks and brokerage houses, not the commodity desks. Traders understand gold is money to be traded against paper currencies. The world’s central banks hold about 30,000 tonnes of gold in reserves. While there has been a lot of media attention given to central bank sales in the past, gold holdings have only declined by about 2,000 tonnes since 1980. Central banks have become net buyers since 2009 and have been adding gold to their currency reserves. Central bankers understand gold is money. The turnover rate between members of the London Bullion Market Association is over US$20 billion per day, with volume estimated at five to seven times that amount. Clearly, this has nothing to do with jewelry sales and everything to do with the exchange of money. The definition of “investment” is the commitment of money or capital to purchase financial instruments or other assets in order to gain profitable returns in the form of interest, income or appreciation of the value of the investment. Through this transfer of capital, in the expectation of a profit, an investor gives up capital and puts it at risk. The investor receives a return in dividends or interest as compensation because capital is at risk; investors may get back less than they invested, or they may get back nothing at all. Physical gold bullion or physical paper currencies locked in a vault, on the other hand, are not invested; they are simply being stored. Since neither is invested, they don’t earn interest or dividends – but they don’t have any counterparty risk. The major difference between gold and currencies kept in a vault, however, is that gold’s purchasing power increases while paper currencies lose purchasing power year after year. Both gold and currencies can be taken out of the vault with ease, and the proceeds invested by giving them to someone else in return for dividends or interest. An interesting perspective can be gained by calculating whether the proposed investment is likely to return more gold ounces than were originally invested. For example, the 44 ounces of gold required to purchase the Dow in 2000 has now dwindled to fewer than nine ounces. [You] might as well have left the gold in the vault! Since gold maintains and even increases in purchasing power, there is no need to put it at risk in order to earn a minimal amount of interest or dividends. Figure 1 illustrates how gold has not only preserved but also increased its purchasing power from 1971, when the gold standard was abandoned, to 2011. 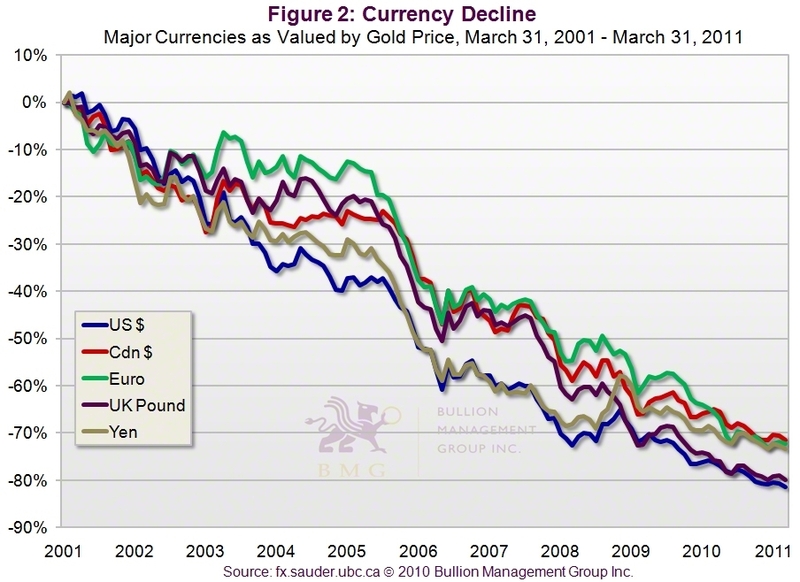 Figure 2 illustrates how all of the major currencies have declined over the last decade when measured by gold ounces. It is crucial to recognize that physical gold bullion, held directly or on an allocated and insured basis in a vault, is not an investment because it is not someone else’s promise of performance or someone else’s liability, and as a result has no counterparty risk. All other forms of gold ownership are, in fact, investments. Paper gold certificates, unallocated bullion accounts, ETFs, shares in gold mining companies and futures contracts all have counterparty risk, and are either someone else’s promise of performance or liability. They may have their place in a portfolio, but they are all investments. Previous These Signs Suggest Global Economy at a 'Tipping Point'!